Rorate Caeli has a handy calendar of events for the conclave set to start on Tuesday. At 16:30, Rome time, the cardinal process into the Sistine Chapel. At 17:00, the cardinals take their oaths. All extraneous persons are then made to leave, and the conclave begins. At 19:00, we start watching the chimney. How will we stand the suspense? Especially if the election takes more than a day. In the age of fast food, one-hour dry cleaning, internet shopping, transcontinental and transoceanic flight, and instantaneous communication, we have become enamored of the idea of having everything right now, this instant. But life doesn't always work out that way. Papal elections don't always work out that way. 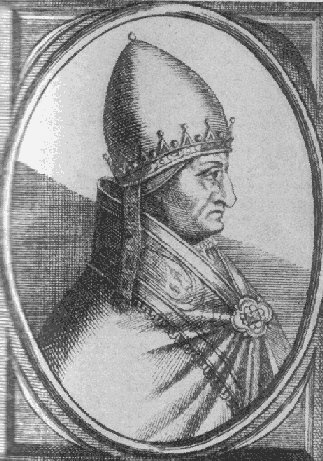 For example, after the death of Clement IV on November 29, 1268, it took almost three years to elect his successor. At that time, the cardinals were not sequestered during their deliberations, which took place in the town of Viterbo. The fact that they were split into parties along nationalist lines did nothing to speed things along. Eventually, the townspeople, fed up with the indecisiveness of the cardinals and determined to force a vote, locked them up in the episcopal palace and cut their daily allowance of food. At one point, one of the cardinals remarked sardonically that maybe somebody needed to take the roof off the building so the Holy Spirit could get through. The townsfolk thought that was a good idea and promptly obliged. Finally, on September 1, 1271, the cardinals elected Teobaldo Visconti, Archdeacon of Liege. But the good people of Viterbo, along with the rest of the world, still had to wait another almost seven months for the new Pontiff to settle himself on the Throne: he was not a cardinal or even a priest, and had to be summoned from a pilgrimage, accept the Petrine Office, and then be properly ordained. But, under the regnal name of Gregory X -- now Bl. Gregory X -- Teobaldo Visconti embarked on a reign whose effects were out of all proportion to its length. One of these effects was -- the establishment of the papal conclave. I do not see why it should take our current crop of cardinals all that long to fill the Throne of Peter, but I am willing to give them as much time as they need to get the job done right and elect Cardinal Burke. Adopt a cardinal elector to pray and make sacrifices for. Pray for the election of a holy and heroic Pope, and pray that this be done as speedily as possible. It won't be so easy to take the roof off the Sistine Chapel.